Homeowners in Massachusetts who heat their homes with oil should read this! 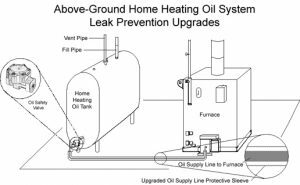 As September 30, 2011 you are now required to upgrade your home heating equipment to help prevent leaks from the tanks and leaks from the pipe that connects to your furnace. This is not just a requirement for homes for sale in Massachusetts: it’s for any home (single family to 4-unit multi families) currently using oil heat. The fix is relatively small and pretty inexpensive, compared to the alternative of an oil leak which is VERY COSTLY! These changes can be made by calling your local oil company or by searching for an oil burner servicer. The technician must be licensed in the trade to perform these upgrades. The estimated cost for this is around $150 to $350, as opposed to the DEP regulations of cleaning up an oil leak that gets into the soil or groundwater which can cost upwards of $10,000 to $15,000. Homes that were built after 1990 shouldn’t need any changes made because at this time the building fire codes were in line with these regulations. • Those changes are in compliance with the oil burning equipment regulations; a copy of the oil burner permit from the local fire department may be used to demonstrate compliance. 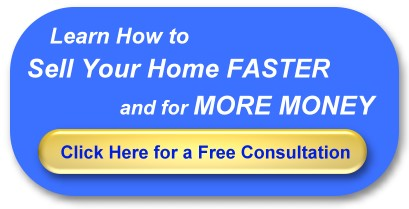 What Happens if You Don’t Comply With the Massachusetts Homeowner Heating Safety Law? If a leak happens from your oil tank or supply line that could have been prevented by upgrading you will be responsible for the costly clean up. If it’s a small leak it can be as much as $15,000 but if the leak is not caught soon enough and it leaks deep enough to reach the groundwater there could be a cost of as much as $250,000 to clean it up. Does Homeowner’s Insurance Cover Damages from Oil Leaks? • “Third party coverage” of at least $200,000 for the cost of dealing with conditions on and off the insured’s property because the leak from this system has or is likely to impact groundwater or someone else’s property. The coverage also includes costs incurred for legal defense, subject to a deductible not to exceed $1,000 per claim. So before learning the hard way, check your heating system now and determine if you have the valve and sleeve that is required. If you do not know how to check for it, call your oil delivery company and ask them to recommend a technician that you can call. If you have the correct items in place make sure you have a certificate of compliance filed with your insurance company and ask about what plans they may have in place for you to protect yourself. If you need more information about the form you need to have filled out please visit: Office of the State Fire Marshal Forms Web Site.